EVERY Muslim aspires to visit the holy cities of Mecca and Madinah at least once in his or her lifetime to perform the haj. However, the Saudi government has a haj quota for each country. A Muslim who wants to perform the haj may have to wait his or her turn, maybe a decade or longer. I, for example, am listed to perform the pilgrimage in 2116 (according to Tabung Haji’s system of allocation after I opened an account with them). I would be 154 years old then. The umrah is then the alternative for me to get to these holy cities for the spiritual experience of praying in Masjidil Haram in Mecca and Masjid Nabawi in Madinah before my turn to perform the haj. Some people I know have had to save a lifetime to perform the fifth pillar of Islam. And there are those who, knowing the fact that they will not have enough in their savings for the haj or the time to wait their turn, decide to go for the umrah instead. And those who have little or no knowledge of the various visas for travel and too eager to go can easily be duped into buying fake packages. And scammers are targeting these people. I suspect the recent announcement by the Saudi Commission for Tourism and National Heritage that women aged 25 and over can be granted a tourist visa to go alone to Saudi Arabia will be used by these scammers to create travel packages disguised as umrah packages. Many Muslim women, especially those aged 25 and above here, lauded the announcement. The visa will allow them to travel to Saudi Arabia without their mahram (a male kin who they cannot marry). Women under 25, however, must be accompanied by a family member. Some made viral the announcement, which was carried by the news sites and portals, and tagged their friends’ names to it. Some have misunderstood the announcement as if to mean that women over the age of 25 can now go to Saudi Arabia without their mahram to perform the umrah.This may not be the case. The Arab News report, quoting the Commission, stated the tourist visa is “independent of work, visit, Hajj and Umrah visas”. This means that if one wants to perform the umrah, he or she needs to apply for the umrah visa. The umrah visa states that women and children should be accompanied by her mahram. Proof of relationship is required (a marriage certificate for a wife, a birth certificate for a child indicating the names of both parents). The mahram must travel into and out of Saudi Arabia on the same flight as his wife and children. Only women 45 years old or older are allowed to go without a mahram if they travel with an organised group or family and submit a notarised No Objection Certificate from her mahram. I was already 50 years old when I performed my first umrah. The visa on my passport stated that I was with a women’s group (it was only at the Jeddah Airport that I found this out when the Arab Immigration officer read it to me. The visa was in Arabic). I was travelling on an umrah package with some 100 others. I am going on another umrah trip next week; this time with my mother, my paternal aunt and my brother’s family. My brother can act as mahram for all of us. We need not have any documents to show our relationship with him but he had to submit his marriage certificate (for his wife’s visa application) and the birth certificates for his son and daughter as he is their mahram. And these documents need to be certified by the Foreign Ministry first before the Saudi authorities can issue the umrah visa. The umrah business is lucrative and scammers know this. 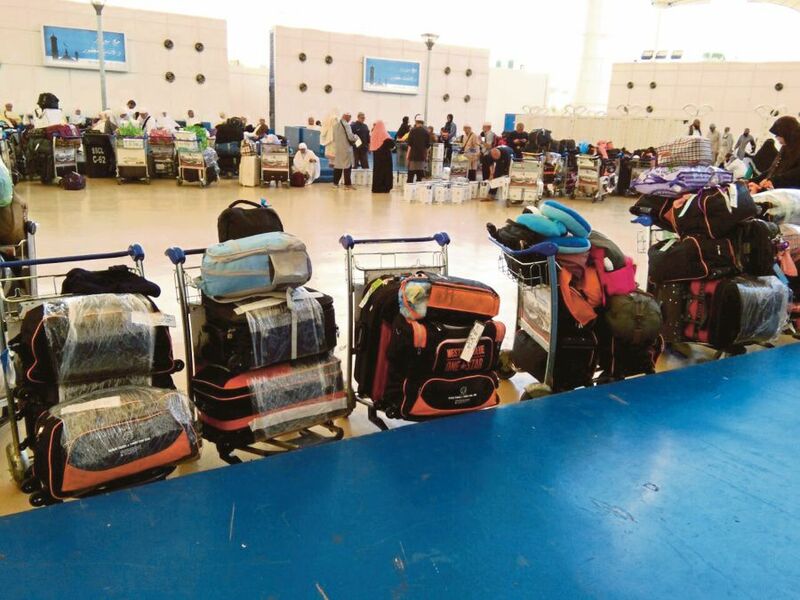 Statistics show that some 50,000 Malaysians go for umrah during Ramadan alone. As at November 2017, the Tourism and Culture Ministry has 234 licensed travel agencies which offer umrah packages, of which 65 are travel agencies accorded with the Muasassah (umrah special licence) while another 169 travel agencies are not accorded with the Muasassah. Airlines, too, are eyeing the umrah charter business. Malaysia Airlines Bhd, for example, had signed an agreement with a travel and charter company to provide umrah charter services. Under the agreement, Malaysia Airlines is to provide 46 charter flights using the A380 aircraft, which can accommodate up to 486 passengers. The airline expects growth in revenue from the charter services to rise to 10 per cent and 11 per cent in the next few years, as it anticipates growing demand from pilgrims. And as the business grows, we will continue to read of people being cheated of umrah and also haj packages, not only here but in countries where there are Muslim communities. The scammers don’t care about who the aspiring pilgrims are, their age, their social status. All they care about is taking the pilgrims’ money. Muslims must practise diligence before signing up for the packages. A little background search — on the travel agency itself, comparing prices of the packages, the difference in visas — goes a long way towards ensuring that they are not cheated of their life savings.